Blue Grass Airport is Central Kentucky's public airport just 4 miles west of downtown Lexington. Located among world-renowned horse farms and situated directly across from Keeneland Race Course, Blue Grass Airport is the primary airport serving central and eastern Kentucky. 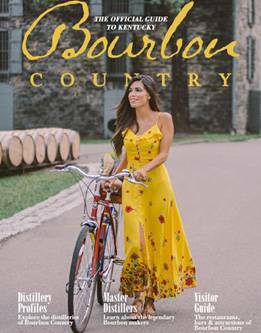 Start your Bourbon Country adventure with a stop at the Knob Creek Lounge upon arrival and be sure to grab a special souvenir at Cork & Barrel on your way home, offering one-of-a-kind bourbon bottles from iconic Kentucky distilleries after going through security.